The material editor is a great tool for artists to create shaders thanks to its node-based system. However, it does have its limitations. For example, you cannot create things such as loops and switch statements. Luckily, you can get around these limitations by writing your own code. To do this, you can create a Custom node which will allow you to write HLSL code. To demonstrate all of this, you will use HLSL to desaturate the scene image, output different scene textures and create a Gaussian blur. The tutorial also assumes you are familiar with a C-type language such as C++ or C#. If you know a syntactically similar language such as Java, you should still be able to follow along. First, you will use HLSL to desaturate the scene image. To do this, you need to create and use a Custom node in a post process material. 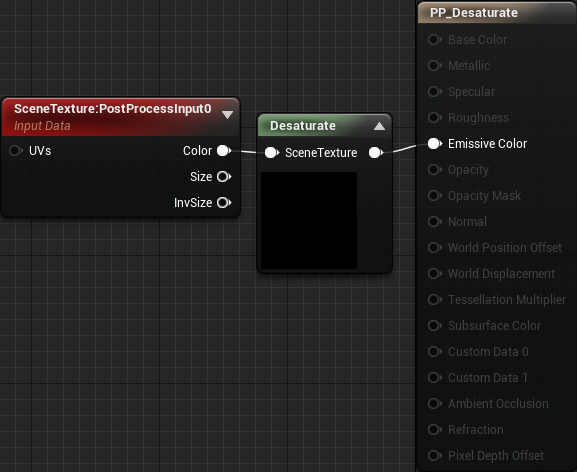 Navigate to the Materials folder and open PP_Desaturate. This is the material you will edit to create the desaturation effect. First, create a Custom node. Just like other nodes, it can have multiple inputs but is limited to one output. Output Type: The output can range from a single value (CMOT Float 1) up to a four channel vector (CMOT Float 4). Description: The text that will display on the node itself. This is a good way to name your Custom nodes. Set this to Desaturate. Inputs: This is where you can add and name input pins. You can then reference the inputs in code using their names. Set the name for input 0 to SceneTexture. Note: dot() is an intrinsic function. These are functions built into HLSL. If you need a function such as atan() or lerp(), check if there is already a function for it. Click Apply and then close PP_Desaturate. The scene image is now desaturated. You might be wondering where the desaturation code came from. 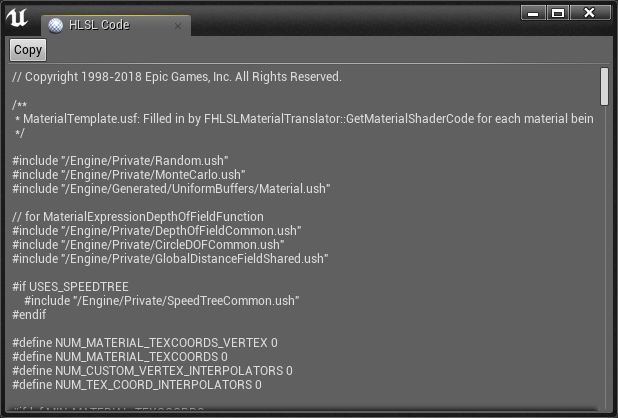 When you use a material node, it gets converted into HLSL. If you look through the generated code, you can find the appropriate section and copy-paste it. This is how I converted the Desaturation node into HLSL. In the next section, you will learn how to convert a material node into HLSL. For this tutorial, you will convert the SceneTexture node into HLSL. This will be useful later on when you create a Gaussian blur. First, navigate to the Maps folder and open GaussianBlur. Afterwards, go back to Materials and open PP_GaussianBlur. Unreal will generate HLSL for any nodes that contribute to the final output. In this case, Unreal will generate HLSL for the SceneTexture node. To view the HLSL code for the entire material, select Window\HLSL Code. 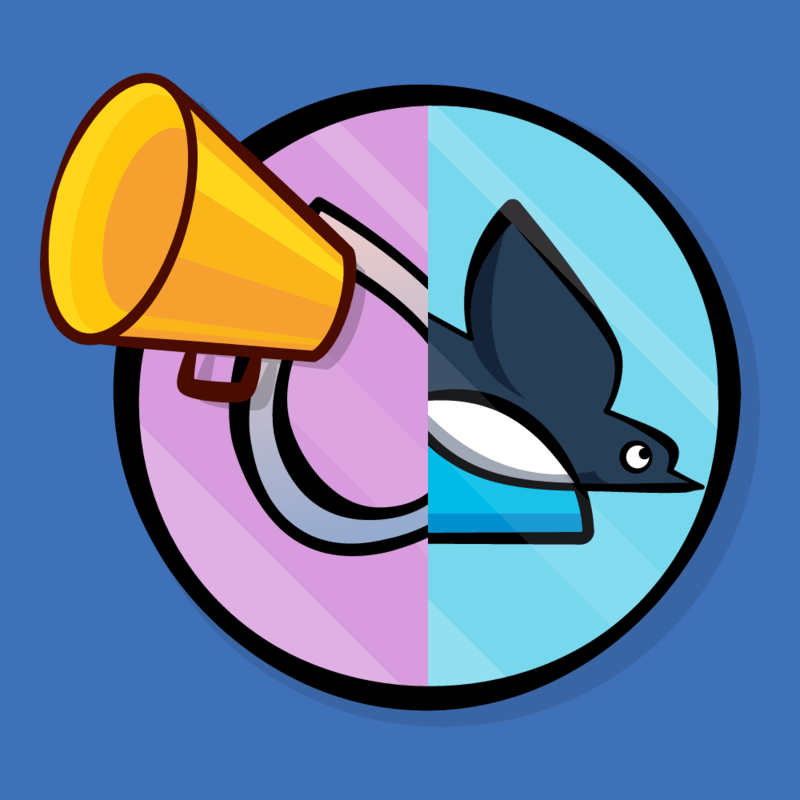 This will open a separate window with the generated code. Note: If the HLSL Code window is blank, you need to enable Live Preview in the Toolbar. Since the generated code is a few thousand lines long, it’s quite difficult to navigate. To make searching easier, click the Copy button and paste it into a text editor (I use Notepad++). Afterwards, close the HLSL Code window. Since this is a post process material, you only need to worry about EmissiveColor. As you can see, its value is the value of Local1. 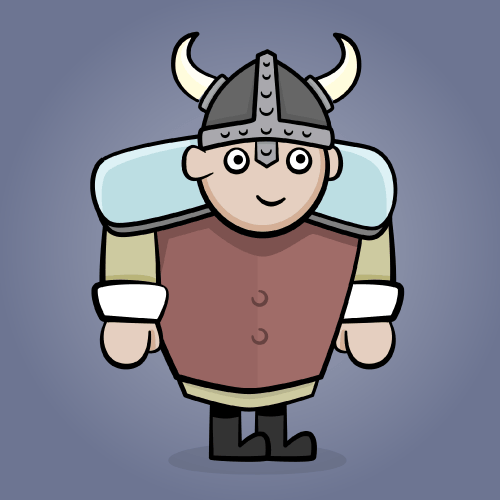 The LocalX variables are local variables the function uses to store intermediate values. If you look right above the outputs, you will see how the engine calculates each local variable. The final local variable (Local1 in this case) is usually a "dummy" calculation so you can ignore it. This means SceneTextureLookup() is the function for the SceneTexture node. Now that you have the correct function, let’s test it out. UV: The UV location to sample from. For example, a UV of (0.5, 0.5) will sample the middle pixel. 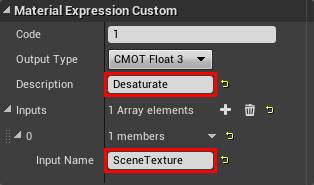 SceneTextureIndex: This will determine which scene texture to sample from. 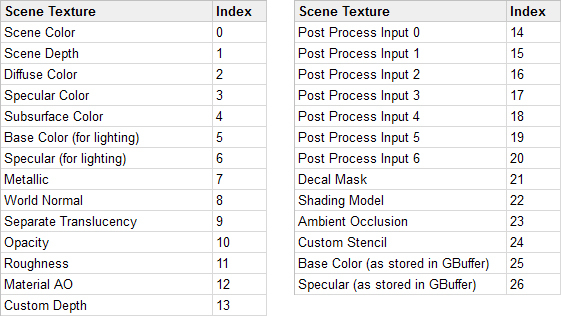 You can find a table of each scene texture and their index below. For example, to sample Post Process Input 0, you would use 14 as the index. Filtered: Whether the scene texture should use bilinear filtering. Usually set to false. This will output the World Normal for the current pixel. GetDefaultSceneTextureUV() will get the UV for the current pixel. 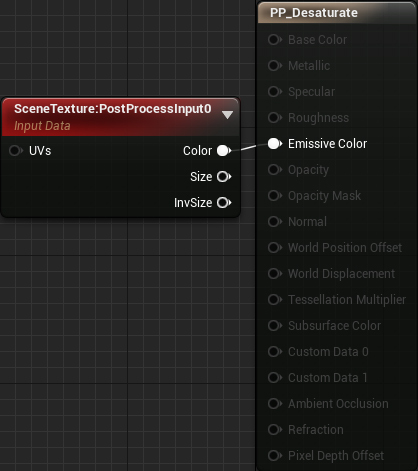 Note: Before 4.19, you were able to get UVs by supplying a TextureCoordinate node as an input. In 4.19, the correct way is to use GetDefaultSceneTextureUV() and supply your desired index. 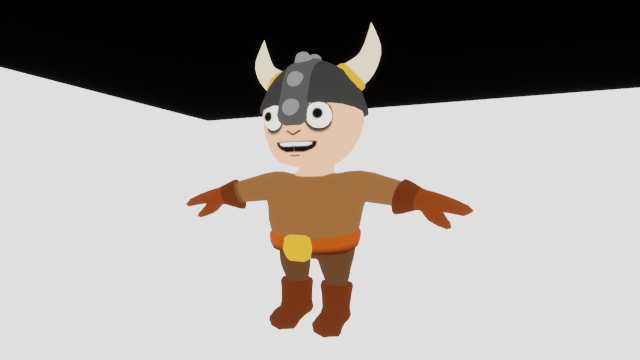 This is an example of how custom HLSL can break between versions of Unreal. Next, disconnect the SceneTexture node. Afterwards, connect Gaussian Blur to Emissive Color and click Apply. This is telling you that SceneTextureLookup() does not exist in your material. 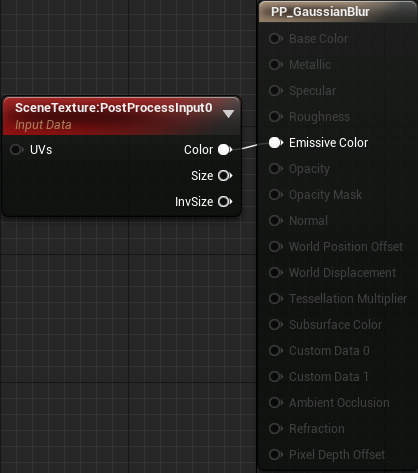 So why does it work when using a SceneTexture node but not in a Custom node? When you use a SceneTexture, the compiler will include the definition for SceneTextureLookup(). Since you are not using one, you cannot use the function. Luckily, the fix for this is easy. Set the SceneTexture node to the same texture as the one you are sampling. In this case, set it to WorldNormal. Afterwards, connect it to the Gaussian Blur. Finally, you need to set the input pin’s name to anything besides None. For this tutorial, set it to SceneTexture. Note: As of writing, there is an engine bug where the editor will crash if the scene textures are not the same. However, once it works, you can freely change the scene texture in the Custom node. Now the compiler will include the definition for SceneTextureLookup(). Click Apply and then go back to the main editor. You will now see the world normal for each pixel. Right now, editing code in the Custom node isn’t too bad since you are working with little snippets. However, once your code starts getting longer, it becomes difficult to maintain. 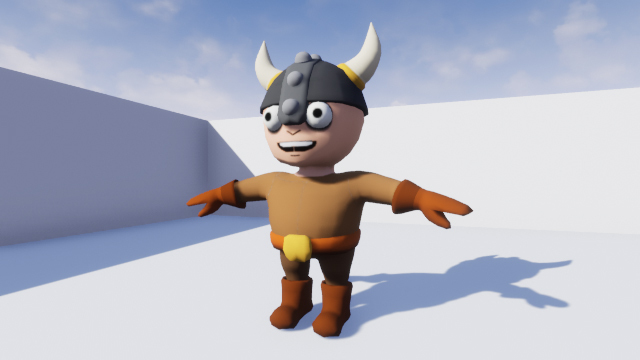 To improve the workflow, Unreal allows you to include external shader files. With this, you can write code in your own text editor and then switch back to Unreal to compile. First, you need to create a Shaders folder. Unreal will look in this folder when you use the #include directive in a Custom node. Next, go into the Shaders folder and create a new file. Name it Gaussian.usf. This is your shader file. Note: Shader files must have the .usf or .ush extension. Open Gaussian.usf in a text editor and insert the code below. Make sure to save the file after every change. This is the same code as before but will output Diffuse Color instead. Now when you compile, the compiler will replace the first line with the contents of Gaussian.usf. Note that you do not need to replace Project with your project name. Click Apply and then go back to the main editor. 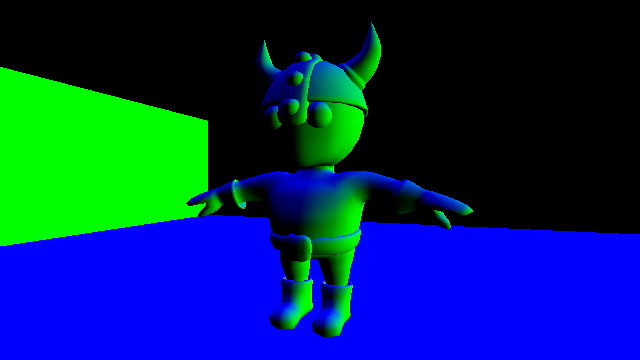 You will now see the diffuse colors instead of world normals. 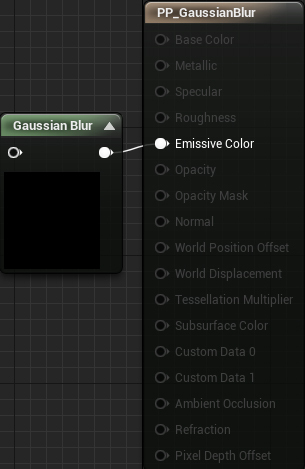 Now that everything is set up for easy shader development, it’s time to create a Gaussian blur. Note: Since this is not a Gaussian blur tutorial, I won’t spend too much time explaining it. If you’d like to learn more, check out Gaussian Smoothing and Calculating Gaussian Kernels. Just like in the toon outlines tutorial, this effect uses convolution. The final output is the average of all pixels in the kernel. In a typical box blur, each pixel has the same weight. This results in artifacts at wider blurs. A Gaussian blur avoids this by decreasing the pixel’s weight as it gets further away from the center. This gives more importance to the center pixels. Convolution using material nodes is not ideal due to the number of samples required. For example, in a 5×5 kernel, you would need 25 samples. Double the dimensions to a 10×10 kernel and that increases to 100 samples! At that point, your node graph would look like a bowl of spaghetti. This is where the Custom node comes in. Using it, you can write a small for loop that samples each pixel in the kernel. The first step is to set up a parameter to control the sample radius. First, go back to the material editor and create a new ScalarParameter named Radius. Set its default value to 1. The radius determines how much to blur the image. The Round is to ensure the kernel dimensions are always whole numbers. Now it’s time to start coding! Since you need to calculate the Gaussian twice for each pixel (vertical and horizontal offsets), it’s a good idea to turn it into a function. When using the Custom node, you cannot create functions in the standard way. This is because the compiler copy-pastes your code into a function. Since you cannot define functions within a function, you will receive an error. Luckily, you can take advantage of this copy-paste behavior to create global functions. Now let’s use this behavior to create the Gaussian function. This results in a bell curve that accepts an input ranging from approximately -1 to 1. It will then output a value from 0 to 1. For this tutorial, you will put the Gaussian function into a separate Custom node. Create a new Custom node and name it Global. Calculate1DGaussian() is the simplified 1D Gaussian in code form. To make this function available, you need to use Global somewhere in the material graph. The easiest way to do this is to simply multiply Global with the first node in the graph. This ensures the global functions are defined before you use them in other Custom nodes. 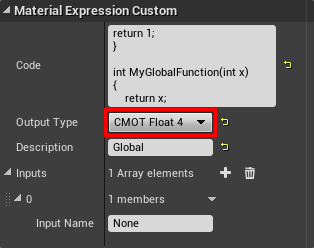 First, set the Output Type of Global to CMOT Float 4. You need to do this because you will be multiplying with SceneTexture which is a float4. Click Apply to compile. Now, any subsequent Custom nodes can use the functions defined within Global. The next step is to create a for loop to sample each pixel in the kernel. SceneTextureId: Holds the index of the scene texture you want to sample. This is so you don’t have to hard code the index into the function calls. In this case, the index is for Post Process Input 0. TexelSize: Holds the size of a texel. Used to convert offsets into UV space. Conceptually, this will create a grid centered on the current pixel. The dimensions are given by 2r + 1. For example, if the radius is 2, the dimensions would be (2 * 2 + 1) by (2 * 2 + 1) or 5×5. 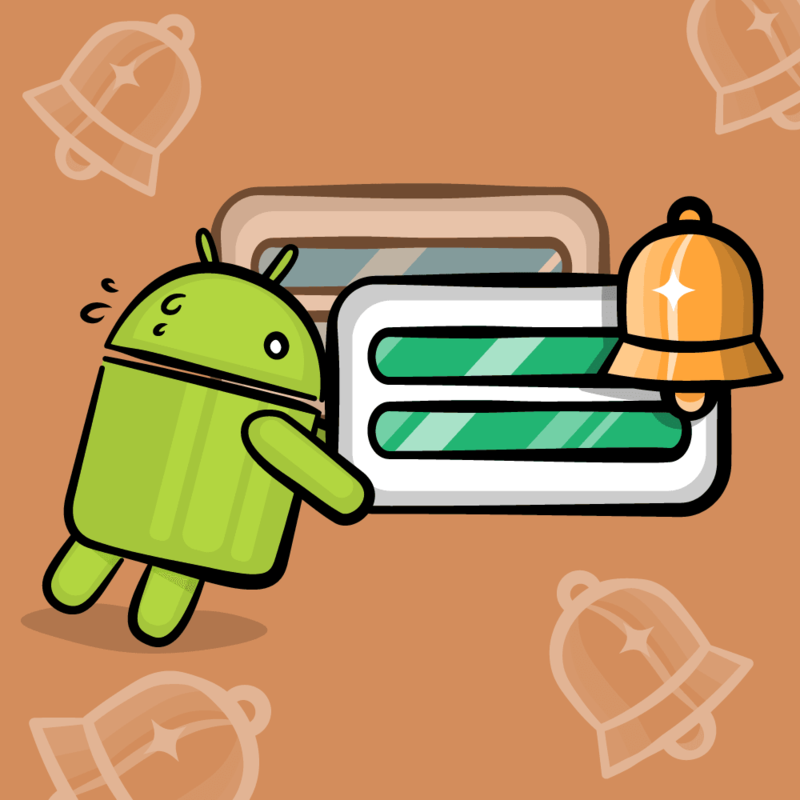 Calculate the weight for the sampled pixel. To calculate a 2D Gaussian, all you need to do is multiply two 1D Gaussians together. 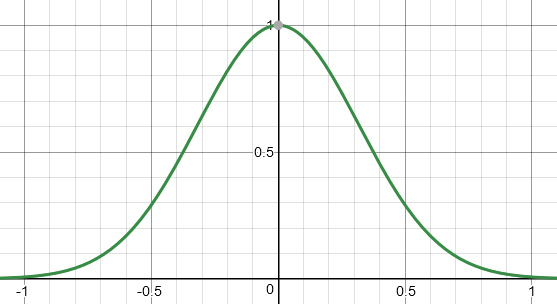 The reason you need to divide by Radius is because the simplified Gaussian expects a value from -1 to 1. This division will normalize x and y to this range. That’s it for the Gaussian blur! 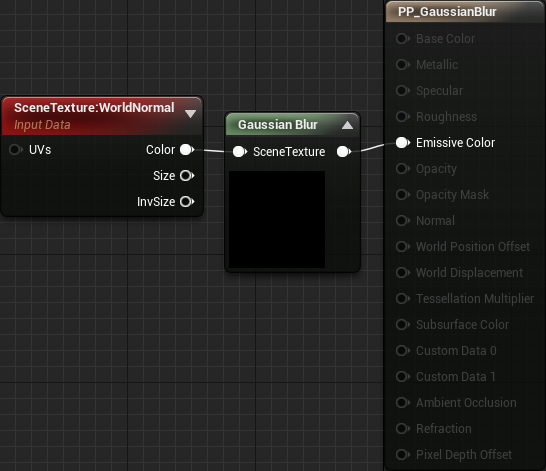 Close Gaussian.usf and then go back to the material editor. Click Apply and then close PP_GaussianBlur. Use PPI_Blur to test out different blur radiuses. Note: Sometimes the Apply button will be disabled. Simply make a dummy change (such as moving a node) and it will reactivate. Although the Custom node is very powerful, it does come with its downsides. 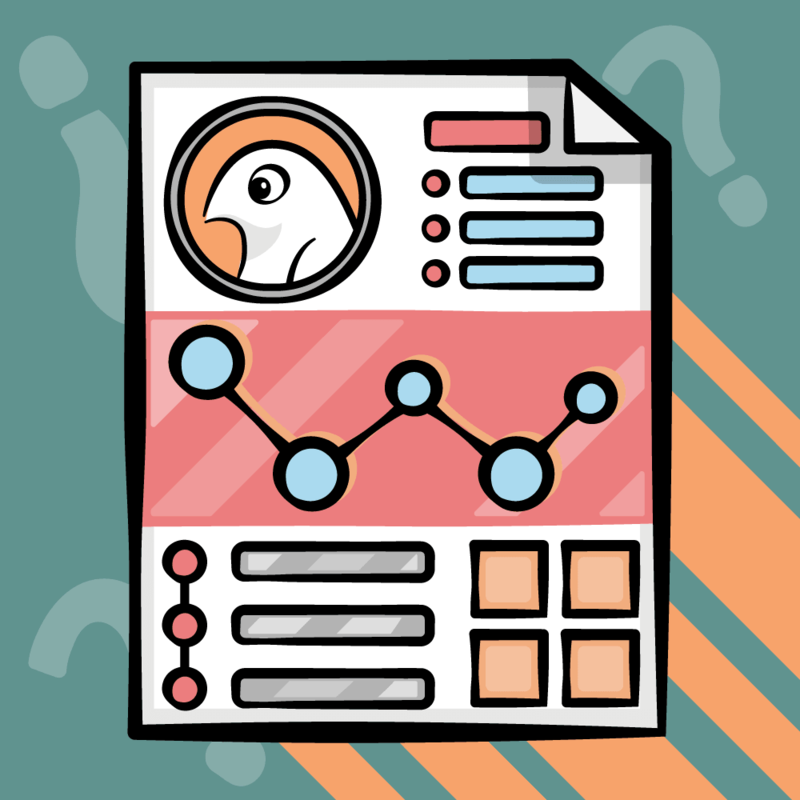 In this section, I will go over some of the limitations and caveats when using it. Custom nodes cannot access many parts of the rendering pipeline. This includes things such as lighting information and motion vectors. Note that this is slightly different when using forward rendering. HLSL code you write in one version of Unreal is not guaranteed to work in another. As noted in the tutorial, before 4.19, you were able to use a TextureCoordinate to get scene texture UVs. In 4.19, you need to use GetDefaultSceneTextureUV(). Using the custom node prevents constant folding and may use significantly more instructions than an equivalent version done with built in nodes! Constant folding is an optimization that UE4 employs under the hood to reduce shader instruction count when necessary. 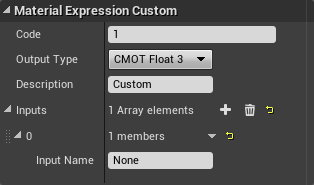 For example, an expression chain of Time >Sin >Mul by parameter > Add to something can and will be collapsed by UE4 into a single instruction, the final add. This is possible because all of the inputs of that expression (Time, parameter) are constant for the whole draw call, they do not change per-pixel. UE4 cannot collapse anything in a custom node, which can produce less efficient shaders than an equivalent version made out of existing nodes. As a result, it is best to only use the custom node when it gives you access to functionality not possible with the existing nodes. If you’d like to get more out of the Custom node, I recommend you check out Ryan Bruck’s blog. He has posts detailing how to use the Custom node to create raymarchers and other effects.